Any repairers priming raw factory Mazda bumper covers will soon have an easier time saying so in CCC-generated estimates, according to the Database Enhancement Gateway (DEG). CCC will add an “Prep Unprimed Bumper” operation for 15 Mazda “chapters,” typically a reference to a certain design generation of a particular model. Users should see the option appear by Oct. 1, according to the DEG. 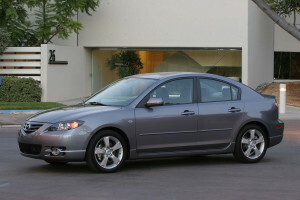 The addition began with a DEG inquiry about a single model year, the 2006 Mazda 3. With the help of I-CAR’s Repairability Technical Support, DEG obtained proof from the automaker that 2006 Mazda 3s only had unprimed bumper covers, according to Harris. After getting that documentation, CCC researched the issue and took it even further with the expansion to other model years. “It really varies from OE,” Harris said. He urged any repairer or insurer confronted with an unprimed bumper but no operation line item in a particular database to contact the DEG. General Motors, Hyundai, Lexus, Mitsubishi, Saturn, Subaru, Toyota and Volvo all are known to make vehicles with unprimed bumper covers, according to CCC. If CCC doesn’t yet have information about a particular model year’s bumper covers or a part is aftermarket, a shop will still have to manually enter the data and use the CCC Guide to Estimating to obtain the labor time.